We have rewritten the Asynchronous routing in Camel 2.0. The new Async API in Camel 2.0 leverages in much greater detail the Java Concurrency API and its support for executing tasks asynchronous. Therefore the Camel Async API should be familiar for users with knowledge of the Java Concurrency API. Before we dig into this matter there are a few concepts we need to discuss as a background material we must understand before using the Async API. The concept is general for asynchronous messaging and will apply for other Integration Frameworks as such. The former is the postal service example where we send a postal mail and but a letter in a letterbox. We do not expect a reply in this conversation. The latter is on the web where we using a web browser request to visit a web page and the remote web server replies with the web content. From the client point of view, that is. By using synchronous the client will wait until the conversation is over before continuing. With asynchronous the control to the client is returned immediately after the message have been submitted. The client can in the mean time do other work while the message is being routed and processed. At any given time in the future the client can decide to check whether the task is finished or not. In fact the client can wait until the task is complete and its result is returned to the client. All together we have 2 x 2 combinations to understand. In this blog I will only show 1 of them. The Camel documentation contains all 4 of them with more details. The client sends an Async Request Reply message over Http to Camel. The control is immediately returned to the client application, that can continue and do other work while Camel routes the message. Camel invokes an external TCP service using synchronous Request Reply. The client application can do other work simultaneously. The client wants to get the reply so it uses the Future handle it got as response from step 1. With this handle it retrieves the reply, wait if nessasary if the reply is not ready. Suppose we want to call a Http service but it is usually slow and thus we do not want to block and wait for the response, as we can do other important computation. So we can initiate an Async exchange to the Http endpoint and then do other stuff while the slow Http service is processing our request. And then a bit later we can use the Future handle to get the response from the Http service. Its now much easier to do asynchronous messaging with Apache Camel. The Client API has be rewritten so it resembles and uses the Java Concurrency API. The Camel documentation contains much more information and also about the new async DSL that can be used within the route itself to turn a route into asynchronous. Is it possible to bind the 4 async/sync routing types to an Interface using Spring Remoting? Would it be wise to use async processing if Apache Camel is running within an application server? 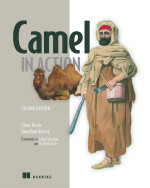 Apache camel has a camel-jboss component but where are the threads being created against? The jvm or the EE container?